The national night dedicated to promoting crime prevention, building partnerships between the community and public safety departments, and having different fun at the same time, came back again. The 30th annual National Night Out for Prince George’s County was Aug. 5. National Night Out events took place in over 80 locations throughout Prince George’s County, including multiple activities in each of the Transforming Neighborhoods Initiative (TNI) communities. Out of the 80 communities, Baker visited Upper Marlboro, District Heights, Suitland, Fort Washington, and Oxon Hill. 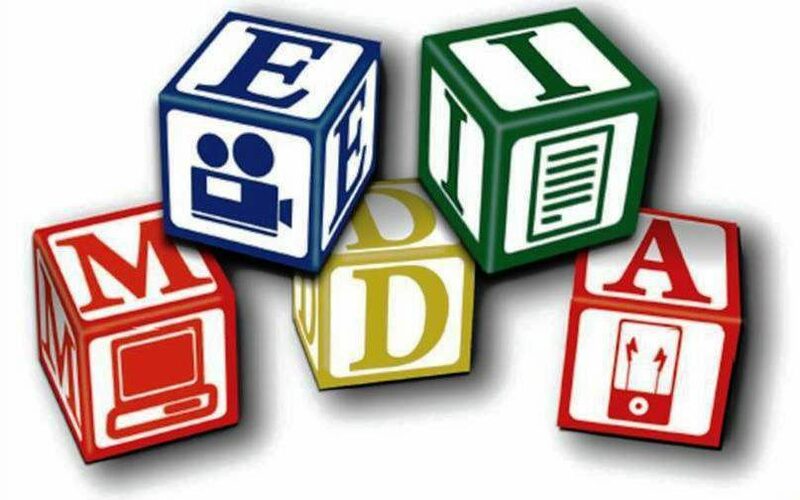 Alongside Baker, Office of State’s Attorney Angela Alsobrooks, Sheriff Melvin High’s Office, the Prince George’s Police Department (PGPD), the Prince George’s County Office of Homeland Security, and the Prince George’s Office of Community Relations will also participate in this occasion. Residents are excited to learn more about their community, while they enjoy music games, and prize giveaways from their respective neighborhoods with family, friends, and neighbors. “This is my 10th year going and I learn something new and meet new people each year,” Jackie Waters, of District Heights, told the AFRO. 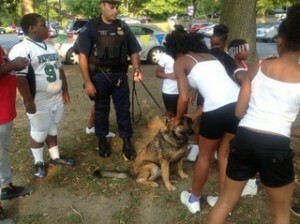 Young attendees at a National Night Out event in Landover pet a K9. National Association of Town Watch (NATW,) a non-profit organization dedicated to the development and promotion of various crime prevention programs, created this event in 1984. National Night Out, previously known as ‘America’s Night Out Against Crime,’ was created to promote involvement in crime prevention activities, police-community partnerships, and neighborhood camaraderie, and to send a united message to criminals that neighborhoods are organized and fighting back.